Commercial Radio/FM channels have gained a huge popularity in the Australian country like in all other developed nations. 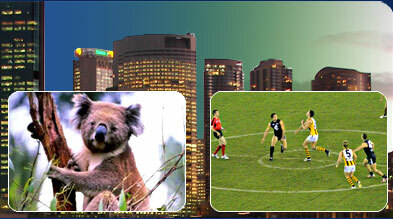 The Australian Commercial Radio/FM stations can be received at any point of time and at all places. The FM broadcasting technology was started by E. H. Armstrong and gained immediate popularity over the traditional widths of radio services. The Commercial Radio/FM stations are gaining huge popularity with the younger generation of people all over the world. As a result, new Commercial Radio/FM stations are being opened quite frequently all over the globe. Each of the Australian city like Adelaide, Melbourne, Australian Capital Territory, Sydney, Brisbane, Perth and all Australian territories have a whole range of private Commercial Radio/FM stations. These Australian Commercial Radio/FM stations are region and zone-specific. The history of Commercial Radio/FM stations in Australia dates back to the year 1947 when it was first launched. Unfortunately though, due to lack of proper reception from the audience it had to close down in the year 1961. Australian Commercial Radio/FM stations were again revamped in the year 1975 and were connected to the rest of the world with the help of bandwidths. During the 1980�s the Australian Commercial Radio/FM stations gained huge popularity when several AM stations shifted to FM because of the superior sound quality offered by the FM width. Nowadays, it has become the heartbeat of thousands of Australians who constantly listen to these Commercial Radio/FM stations right from morning to bedtime. The ABC Radio was started as a division of the American Broadcasting Company and was completely focussed on the work of AM and FM radio broadcasting. The ABC Radio network includes various programmes like ABC News Radio, Moneytalk, America�s Most Wanted, ESPN Radio, ABC Sports, Business Week and a host of other programmes on various topics. The other popular Commercial Radio/FM radio network is the Australian Radio Network, which is a joint venture company of an Australian media company and U. S. based broadcaster Clear Channel Communications. The stations of this Australian Network are mainly focussed for the younger generation of people and consist of musical programmes mainly. SBS Radio network of Commercial Radio/FM stations mainly presents the programmes of Indigenous Aboriginal Tribes. It had originally begun only in Sydney and Melbourne but now caters mainly to the non-English speaking groups of Australia. The Commercial Radio/FM stations of SBS Network are known as SBS Radio 1 and SBS Radio 2 and mostly promote the indigenous talents. The most widely popular Commercial Radio/FM station of Australia is the Triple J station, which is mainly meant for the Australian youth. The Triple J FM station is a part of the Australian Broadcasting Corporation and generally plays Australian and live musical shows. The Triple J station is widely available in the Australian continent and has had a significant influence on Australian music culture. The other popular Australian Commercial Radio/FM stations include Radio National, Hot FM, ABC Classic FM, Vision FM and Sea FM among many others. Some of the Australian Commercial Radio/FM stations are also quite popular in Asia-Pacific regions. The Australian Commercial Radio/FM stations have become a significant part of Australian culture with people developing a rich taste of music and live radio shows.